Fewer fines for dog fouling were handed out in Northumberland last year. 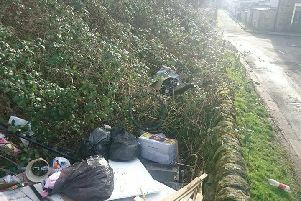 A Burnley Borough Council anti-littering scheme has seen approximately 5,300 £75 fines issued over a recent 10-month period, with the total raised standing at around £400,000. The self-funding Fixed Penalty Notices scheme, unveiled last April by the council to strengthen “its tough stance on dog fouling and littering by introducing street patrols”, has been enforced by the private company Kingdom Environmental Enforcement Services, with the £397,500 raised through fines being used to finance the 12-month pilot contract. With an average of 16 £75 fines issued every day from when it started on April 12th, 2017 to March 16th, 2018 as per a freedom of information request, the scheme is now undergoing a tendering process, meaning that details on what proportion of the total funds raised through the serving of FPNs has gone towards the enforcement contract has not been disclosed. Having welcomed bids last month, the council - who are already three years into an eight-year contract with Spanish waste management company, Urbaser - is looking to appoint a suitable partner to continue its crackdown on littering and dog fouling across the borough, with the new contract set to come into operation from June and run for three years with an option to extend for a further two. “Litter and dog fouling are consistently top priorities when we ask residents how best to improve our borough,” said Councillor Lian Pate, Executive Member for Community and Leisure Services. “We introduced enforcement patrols last year after we tried to reduce these anti-social problems through other means. “They’ve proved effective and, together with the hard work and support of our partner Urbaser in keeping our streets clean, we’re seeing an improvement in certain areas,” added Cllr Pate. Implementing the council’s zero-tolerance approach to environmental crime, offenders have been hit with on-the-spot £75 fines for littering, dropping chewing gum, failing to clean up after their dog, or street begging. Pleased with the scheme’s efficacy, the council is aiming to continue its “pro-active” approach, with a statement from February asserting the procurement process for the new contract will focus on service quality rather than income generation.